This product replaces the older Honeywell Voyager. Best value hands free, top performing linear scanner. 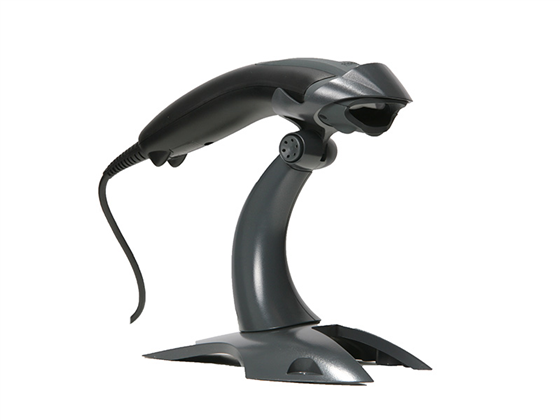 The Honeywell Voyager 1200g barcode scanner builds on the strengths of its predecessor, giving you aggressive scanning performance on virtually all linear barcodes. Honeywell has gone to tremendous lengths to give you the best scanning experience possible, and with the Voyager 1200g you get it. Damaged, crumpled, low contrast and nearly destroyed barcodes are no match for the Voyager 1200g, speeding up the scanning process and saving you time. The Voyager 1200g's contact to 10" optimal scan range is ideal for retail scanning, and the included autosense stand allows for presentation scanning with no configuration. 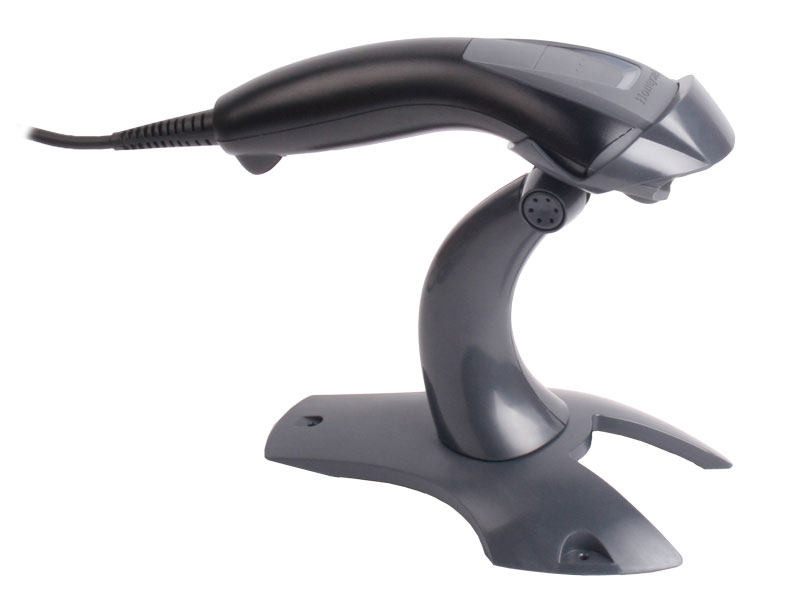 The Voyager 1200g improves on the original Voyager's durability, further extending the life of your barcode scanner. The scan button is now covered with a rubber gasket, keeping dirt, dust, and water splashes out from harming internal components, at an IP42 seal rating. Honeywell designed the internal components to fit on a single shock-mounted circuit board, increasing its resistance to damage from drops and collisions. Which Metrologic USB cable is the correct cable for my Metrologic or Honeywell Voyager MS9500 (MS95xx) barcode scanner? 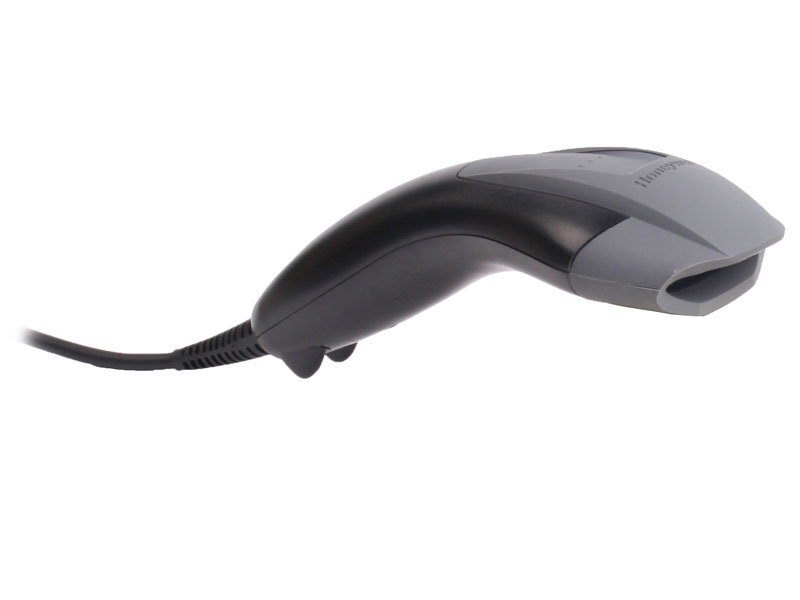 If your Honeywell Voyager (or Metrologic Voyager) barcode scanner was originally equipped with either a PS/2 or serial interface cable, you will need the MX009-2MA7C USB cable. The MX009 cable has circuitry which will convert data from your scanner into the necessary format. 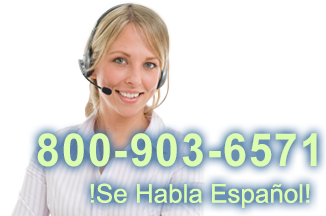 Conversely, if you are simply replacing an existing USB cable on your Voyager, you will need the 53-53235-N-3. Please be careful, however: Newer Honeywell Voyager models, such as the 1200g, use the newer Honeywell universal cables, such as the CBL-500-300-C00 (3-meter coiled), CBL-500-300-S00 (3-meter straight), or CBL-500-500-C00 (5-meter coiled). If your brand new Honeywell barcode scanner is not transmitting data to your PC, it is likely that it is misconfigured. While the scanner should be configured for the correct interface type out of the box, sometimes it is necessary to specify the correct interface before the scanner will function correctly. Please reference the Honeywell barcode scanner manual for the 1300g scanner. While the guide is for the 1300g, the barcodes in it apply to all modern Honeywell scanners. (Older scanners, e.g. the Voyager 9500, 3800g, etc. use their own distinct guides.) 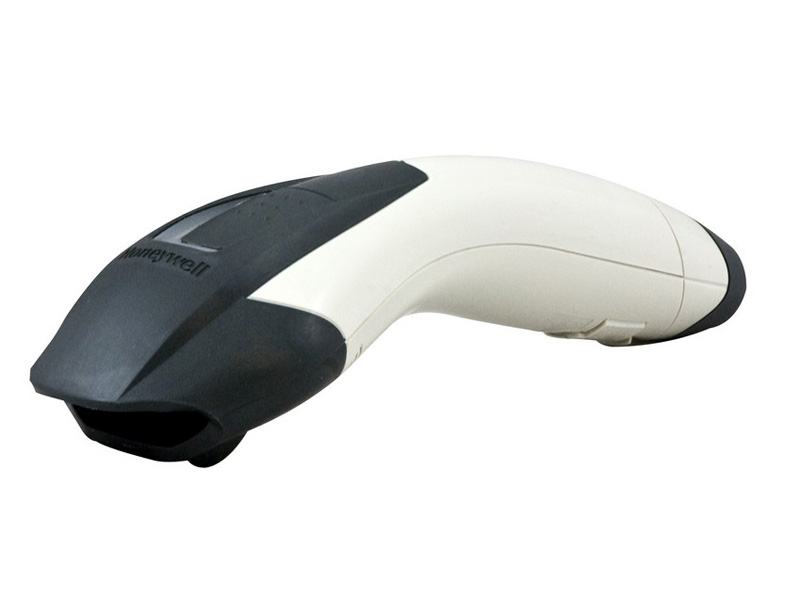 For a standard USB barcode scanner, scan USB HID Barcode Scanner from page 2-6. For other interfaces, scan the relevant barcodes within chapter 2. If you do not know which barcode to scan, please contact our support staff at 1-800-903-6571 before proceeding, as scanning the wrong interface can sometimes complicate the configuration process. Can I use a USB scanner on my iPad? 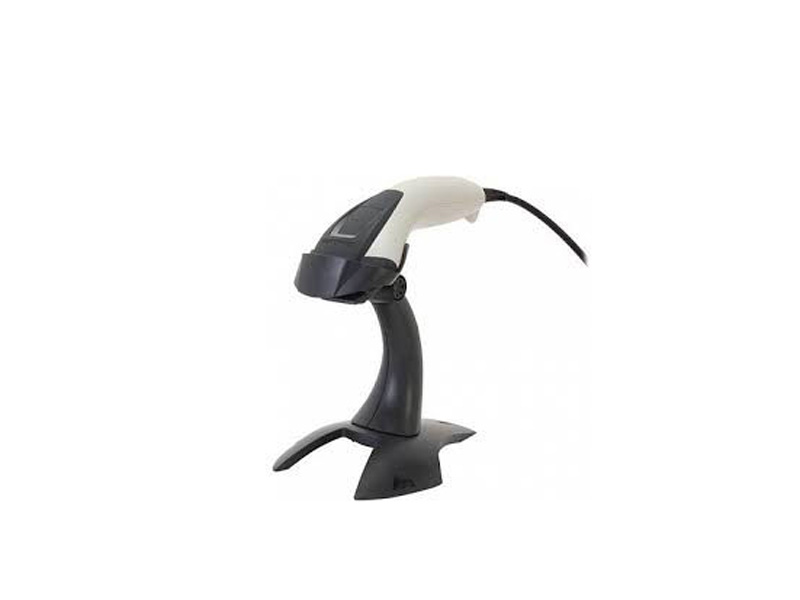 Which barcode scanners are compatible with Lightspeed Retail POS? It will depend on whether you are using the Desktop/Laptop computer version or if you are using the Lightspeed Retail App for the iPad. Find it faster! Click here to compare Voyager 1200g models by feature. SVC1200g-SMS5 Voyager 1200g - 5-Year Warranty, 1-day turnaround, comprehensive coverage. Hi it's Camille with POSGuys.com. Today we're taking a look at two barcode scanners. We have the Honeywell 1250g and the Honeywell 1200g. They are both laser scanners and they're based off some of the older Voyager models that are actually really good as well but these are the latest and greatest. So the 1250g here was, it's not officially an upgrade but it's kind of the next step up from the Voyager GS. So if you have one of these it's a good step up to move to the 1250g. And the Voyager just the original Voyager is continued on by the Voyager 1200. Really quickly we're going to compare the Voyager and the Voyager 1200. So this is the original. A little bit larger, this one is a bit more ergonomic, fits easily in my hand. The button itself is rubberized, a bit more comfortable because of the texture and its even got a bit of grip which this one doesn't have any grip. And you can see the bar from the original Voyager is much thinner than the bar from the current Voyager 1200g which will give you a better read when you are scanning barcodes. Now we'll take a look at the 1250g versus the Voyager GS. So they're... scanners, the 1250g is a little bit thicker and when you do the comparison of how well they scan you can tell pretty quickly that the 1250g has a much faster scan rate and a much higher, er larger range. It just takes longer for it to scan and it can't scan much further than this right now. Taking a look at the two new scanners and their depth of field. This is the 1200g. So it has a decent range for a laser scanner. That's about it. And then for the 1250 it should have a slightly larger depth of field. And you can see it's a bit faster from the higher ranges of it's depth of field. For the light testing, these are laser scanners so laser scanners are not recommended for gardens centers, places where there would be a lot of bright light. So maybe outdoors you probably wouldn't want to go with a laser scanner because the laser beam just disappears in the light because it is light itself. We're going to do a really quick scratch test. So We'll just run a pen through this really fast. No problem reading it for the 1250 and no problem for the 1200. I'm just going to put a lot of scratches on this to really reduce the contrast on this barcode. Make it really messy and scan with the 1200. It still has no problem, it has like a 10% minimum contrast which is pretty good and the 1250g has a 20% which is still having no problem. I'm gonna run some lines there vertically and see how it does. Yeah, that got it. For the 1250g. Let's try it with the 1200. Yeah 1200 is still reading it even with the vertical lines.